Have you actually gone back and watched Zack Snyder's 2009 adaptation of Watchmen? He may be one of the most divisive filmmakers around, but it remains one of his finest works. And those opening five minutes, full of decades' worth of mythology and superhero legacy, are by far the best thing he's ever done. 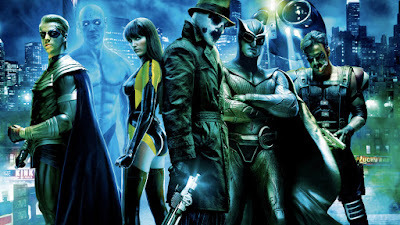 In 2015 he and HBO began discussions for a potential Watchmen TV series, but he's now moved on and another divisive talent, Damon Lindelof, has come aboard. Lindelof just came off the series finale of HBO's The Leftovers, so he has a strong working relationship with the network already. This is all very early on, but Lindelof makes for a logical choice. He's often spoke of how Alan Moore and Dave Gibbons' comic book classic influenced his work on Lost.